Are you looking to buy a fur coat or fur accessories but find you are overwhelmed at all the choices? You are not alone. Fur coats in Chicago are a great way to stay warm without sacrificing style for function. With so many types of furs, it can be difficult to know which type of fur coat is right for you. Take a quick look at two of the most popular choices of fur—mink and fox—to get a better sense of what options are available. Mink fur is a great option for those looking for a durable winter coat with a look of luxury. Mink is soft and lightweight, with a silk-like touch. It has a thick undercoat, which provides extra warmth. Mink is a great choice since it comes in a variety of natural colors; giving you more options without needing to buy dyed fur. Another popular choice, fox, has many of the same benefits of mink. Some people may choose fox over mink, since it comes in even more natural colors. Anyone who has experienced a Chicago winter knows the importance of a warm winter coat. For Chicago residents, a winter coat is not just another item in your wardrobe, but it is an investment. With many options available, it can be difficult to know which type of coat is best for you. For a winter coat that not only provides warmth and comfort, but also style and class, a fur coat in Chicago may be the one for you. When shopping for a new fur, you will find a variety of options for sale. Ultimately, the decision will come down to your personal preferences. This article will take a look at frequently asked questions about shopping for furs and provide you with answers to help you make a more informed purchase. What Features Should I Look For When Buying a New Fur? When shopping for a new fur, there are certain features to look for to ensure that you are buying a quality coat. Well-made furs will rest comfortably on your shoulders and will fall evenly. Furs should be soft to the touch, and dense for warmth. The pelt of the coat ideally will be shiny and match the rest of the coat. Check seams for tight stitching and straight hems. What type of Fur Should I Get? There are many different types of fur, and you may be surprised at how lightweight many of the options are. Standard furs, such as mink, beaver and raccoon, are great for everyday winter coats. For a more luxurious option, furs such as lynx, chinchilla and sable are more rare and exclusive. No matter what type you decide on, fur is a natural and sustainable option, as it is durable and can be worn year after year—even longer with proper care. How Do I Care For and Store My Fur? While some people think that fur coats and fur capes in Chicago can only be worn with formal attire, you can also make luxury furs work with more casual looks. Fur capes and fur accessories are a simple way to wear furs with your everyday outfits, from jeans and sweaters, to skirts and dresses. Short fur coats can always be dressed up or down to match the style of your outfit. If you want to incorporate luxury furs into your everyday wardrobe, choose classic pieces in neutral colors. Stay away from longhaired furs or longer fur coats, and instead opt for simpler, smaller pieces that will blend in well with your clothing. Fur accessories such as vests, hooded fur coats, fur hats, and fur gloves are casual enough to complement any fashion style. If you’re looking for a fur coat, choose a shorter fur coat in a casual cut and style. Many fur shops have a variety of contemporary classic and luxury fur coats in casual styles, including shorter coats and sportier styles. 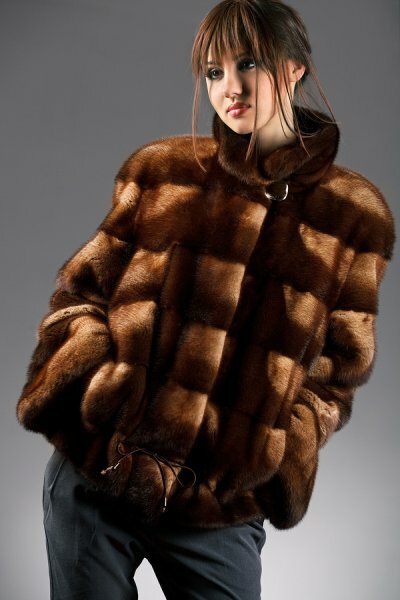 A fur sales expert can help you find the perfect fur garment to fit your casual, everyday look. As the holidays approach, you should begin looking for an elegant, sophisticated fur coat in Chicago to wear to holiday parties. Before visiting your local fur shop for either a classic, trendy, everyday, or luxury fur, take some time to think about the type of clothing that you typically wear to parties. You should choose a high quality fur coat from a luxury fur shop so that it’s guaranteed to last a lifetime and look beautiful and stylish every time you wear it. If you wear long dresses and skirts more often, you should choose a long fur coat. If you tend to wear shorter or mid-length skirts and dresses, you can wear short or long fur coats. For men a stroller or full length will cover your suit or tuxedo jacket. Fur coats are available in a variety of styles, colors, and types of fur, so you can choose one that complements your skin tone, hair color, and your own personal style. If you have an eclectic, trendy style, you can find a fur coat that is dyed an exciting, fun color. If you tend to wear classic, romantic, or vintage clothing, you can choose a fur coat that is more traditional in appearance and style. Should You Go Long or Short When Picking Your Perfect Fur Coat? 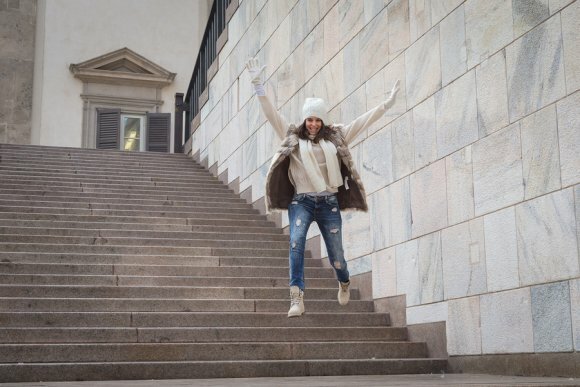 When you buy luxury furs in Chicago , you should choose fur coats, fur capes, and fur accessories that are classic and timeless, so you don’t have to worry about them going out of style. Fur coats are available in different lengths, and you’ll have to decide if you want a long fur coat or a short fur coat. Here is a guide that may help you decide which fur coat length is perfect for you. Long fur coats are ideal for cities that regularly experience rain, wind, sleet, snow, and freezing temperatures. They are more effective at keeping your whole body warm and sheltering you from wind and rain. 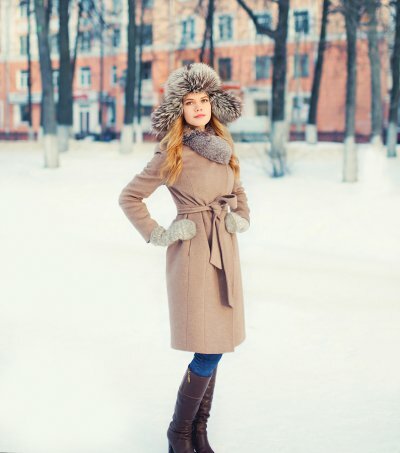 If you live in a city with a milder climate, you may do best with a shorter fur garment. You can still wear it in the evenings when the temperature drops, but you won’t feel overheated or overburdened in less extreme temperatures. Many people believe that long fur coats are elegant, sophisticated, and dramatic. They are classic and timeless, and won’t ever go out of fashion. They are also a more flexible choice, as you have the option of getting your long fur coat shortened by a fur coat alterations company that specializes in fur coat restyling. Shorter fur garments such as fur boleros, fur jackets, and fur strollers are more casual and are appropriate for those who consider themselves trendy and fashionable. Many younger people would rather wear a shorter fur garment because they typically wear shorter skirts and dresses. Shorter fur garments, especially fur capes and fur stoels can be worn with long dresses or skirts, particularly formal dresses. And they can go equally well with casual jeans. You should always shop for fur coats in person so that you can see how the length of the fur coat works with your overall proportions. Shorter women sometimes look overwhelmed by long fur coats, and taller women may find short fur coats to appear too small for their frame. Work with a fur sales person to find the perfect length for your height. How Should I Store my Fur At Home? Winter is on its way to the Windy City! 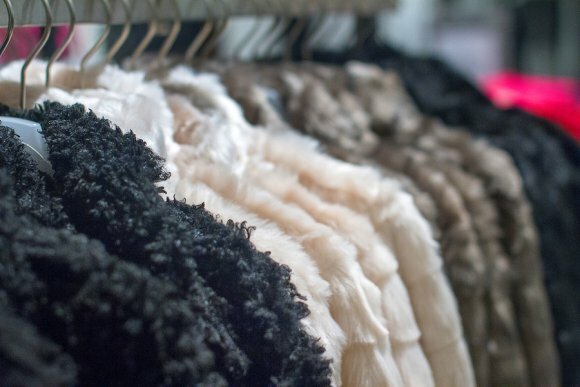 It’s time to retrieve your beautiful furs from their summer storage facility. So now you wonder what is the correct way to preserve those precious furs during the winter while wearing them? First of all, NEVER store your fur in any type of bag, especially plastic. The fur should be hung in a cool closet with nothing covering it so that air can circulate around it. Never hang your coat next to a heat source such as baseboard heat or a radiator. This will “cook” your fur by drying out the pelts and it will deteriorate rapidly. If you get caught is snow or a rain shower, shake your fur and then hang it in a cool open area to dry out. Should your fur become soaked through with snow or rain, rush it to your local furrier or Andriana Furs where it will receive the professional care needed to save it. What should I wear on these cold rainy fall days? A fur lined raincoat!! There are a variety of furs that are used to line raincoats, from rabbit to mink. The fur liners are either permanent or removable. You can choose the one that best suits your lifestyle. Also there are reversibles that are two garments in one. You can wear the fur side out when the weather is clear and the rainsilk side out when the weather is rainy. These garments are available in jackets, strollers, 7/8 coats and full length coats. Check with your local furrier or Andriana Furs, to see what they have for you. You will be delighted by the choices available for today’s modern man or woman. Cool Weather Brings Out the Fur Vests! As the cool fall winds remind you that summer is gone, it’s time to warm up with fur! This season Fur Vests are making a major fashion statement. There are long fur vests that extend beyond the knee, waist length fur vests and the most popular is hip length. Fur Vests are warm and stylish and can be worn inside and outside this fall. Popular furs for vests are Rabbits, Fox, Mink, and Finnish Raccoon. These are available in a variety of natural and dyed colors so you will be able to find the perfect one to blend with your wardrobe! Time to Start Wearing Fur! It’s time to start wearing fur! The autumn chill is in the air. Now is the time to get your fur scarf which makes a great accessory to your fabric or leather coat or jacket. Or check out some of the latest and greatest fur accessories: The Fur Collar and the Fur Collar/Vest. Fur Collars are available in Mink, Finnish Raccoon, Coyote and many other furs in a variety of both natural and dyed colors. Try a multi-color Fox Collar/Vest. It wraps around your neck to keep you toasty and drapes over your shoulders, and front to just above the waist. It is loose and comfortable for indoor and outdoor wear! It can be worn over a blouse, jacket or coat. You will get lots of wear from this accessory!